Next event to be announce soon! On October 3rd, 2017 we are bringing a business to business happening to North Central New Jersey, at the Wilshire Grand Hotel in West Orange. The Biz Club Expo and Conference will bring the business community together in a well planned venue. Starting with a networking luncheon for the exhibitors and sponsors before the event for the attendees start, we’ll have top business leaders discussing how to get motivated before they meet hundreds of potential buyers/clients face to face for qualified leads. While they are enjoying a delicious lunch, they can participate in the discussion about the innovation in business by speakers (to be announced). In this relaxed atmosphere they will continue to network with fellow exhibitors. At 4:00 this special event starts with hundreds of attendees, who are business owners, or entrepreneurs, executives, start-up businesses, and attendees thinking about starting a business. We created this exclusive B2B event where attendees will experience firsthand upscale business to business networking, education, products and services. The Wilshire Grand Hotel Ballroom will be filled with exhibitors from the top businesses in all area’s the business community is looking to meet. 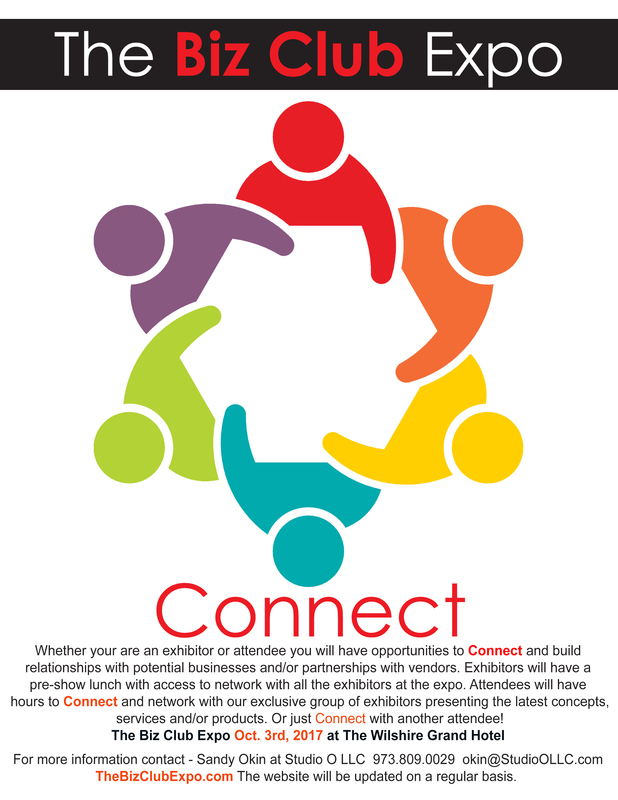 Attendees will connect with successful business leaders, discover the latest technologies for business or pleasure, or find a strategic partner. 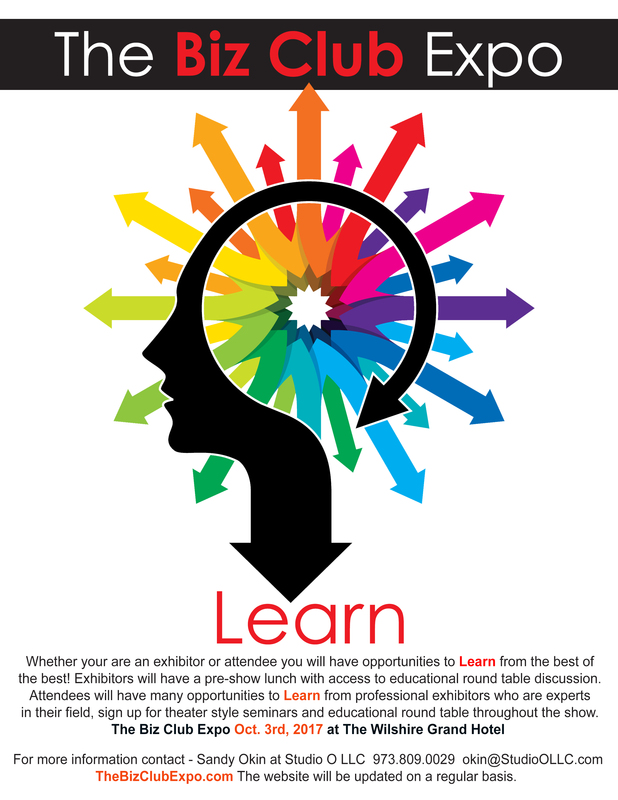 Everyone will have the opportunity to attend the conference where a great line up of speakers, and round-table discussions with experts in their field will help develop knowledge that will enable attendees to out perform their competition. 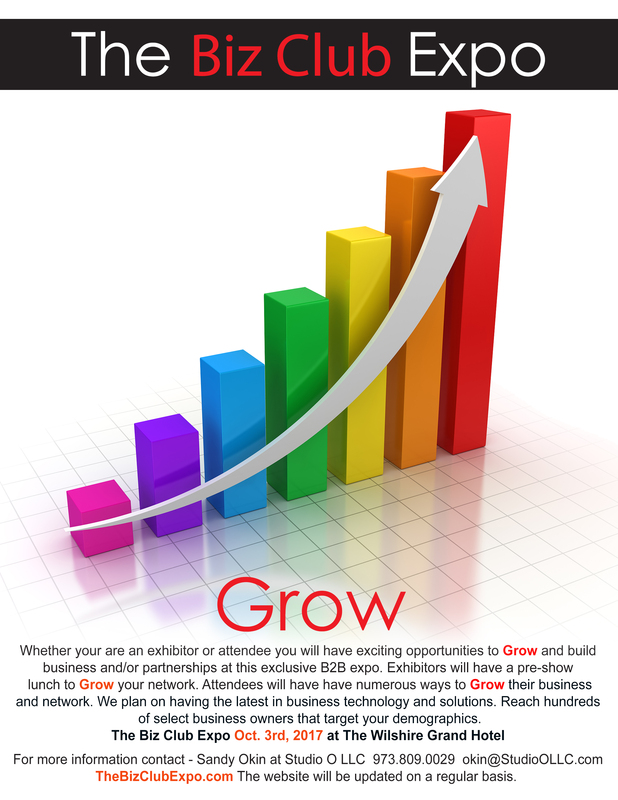 All details will be updated on our website; www.TheBizClubExpo.com and in our pre-show The Biz Club Expo Magazine. The magazine will have a digital on-line version that will be up all year with photo’s and video’s from the event. 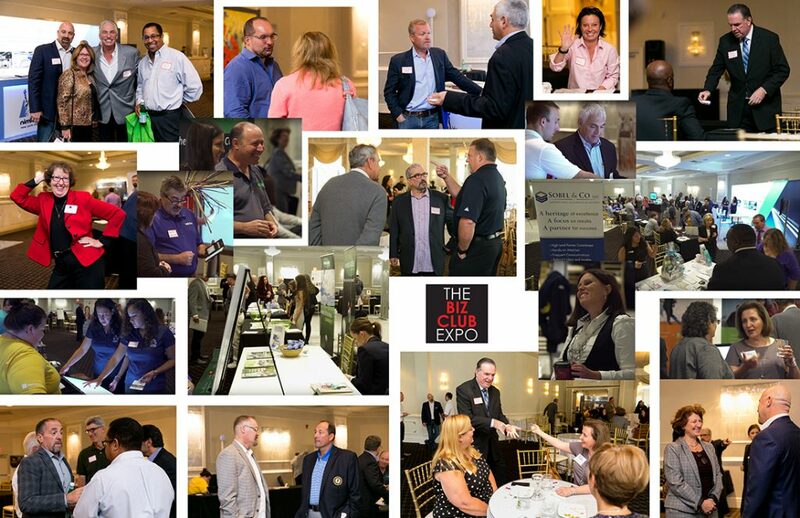 The Biz Club Expo is a must to exhibit or attend.